OK...actually 48 hours went by and happy to say that I was able to get the ductwork back together WITHOUT resorting to removing the console. Have broken off one plastic tab on the ductwork actually made it easier to re-install, as I only had to push down on the slot on the upper part of the pre-existing ductwork to slide the tab into place and then push up on everything to seat the clip. Took about six minutes of laboriously working my hands around a very tight spot, but it can be done. I recommend putting the seatback all the way down, get an old pillow for your head or take 3 ibuprofen from the back-neck strain you're gonna be feeling later. Once you get the piece of ductwork back into place, you can then install the other piece of ductwork that's about a foot long and one side has that corrugated rectangular shape and that's a breeze compared to the other. In fact, avoid taking the console apart at all costs, as I sure as heck broke the plastic tabs that hold the ashtray in, so that another junkyard piece I'll need to get...down the road. Looks like the weekend will be made for a intake manifold gasket replacement on the firewall side. Always something. Thanks for the info. I had a similar problem a month or so ago with my AC. My AC also needed to be charged. Weird how it will still blow cold on the passenger side and not the drivers with a low charge. I had taken out the center console this winter to fix the cracked wood around the shifter and I also encountered the same broken clips on the ash tray. It's a bad design as the plastic isn't thick enough to be pulled on. It also doesn't help that my car is almost 20 years old. I just put some hot glue on the back of the pieces to keep it from rattling, so I didn't need to buy another one. I don't use the ash tray anyway. I also had to fix a couple of cracked plastic pieces in the center console with some epoxy, fiberglass tape and some nails for added strength. 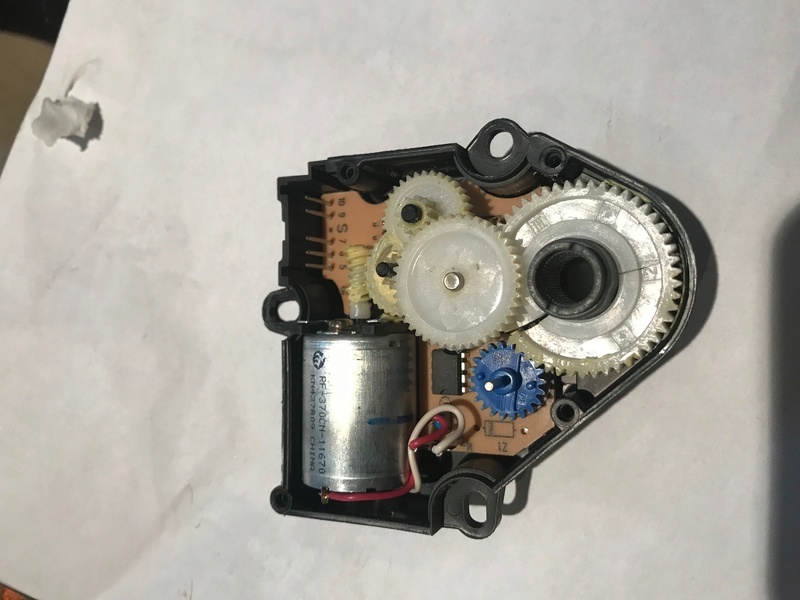 Inside the actuator is a synchronous motor (moves exactly some distance given certain voltage input over certain time, think analog clock) and some gears. What worked for me: I opened the actuator (look at it real hard, you'll figure out how the case unsnaps) and reposition the gears so you can install it. When you get things back together, cycle the HVAC (not too quickly) through all the air flow and temperature settings to allow the actuators to correctly reposition. Nervous about this? I don't blame you -- just open a *broken* one first, to see how it all goes together. 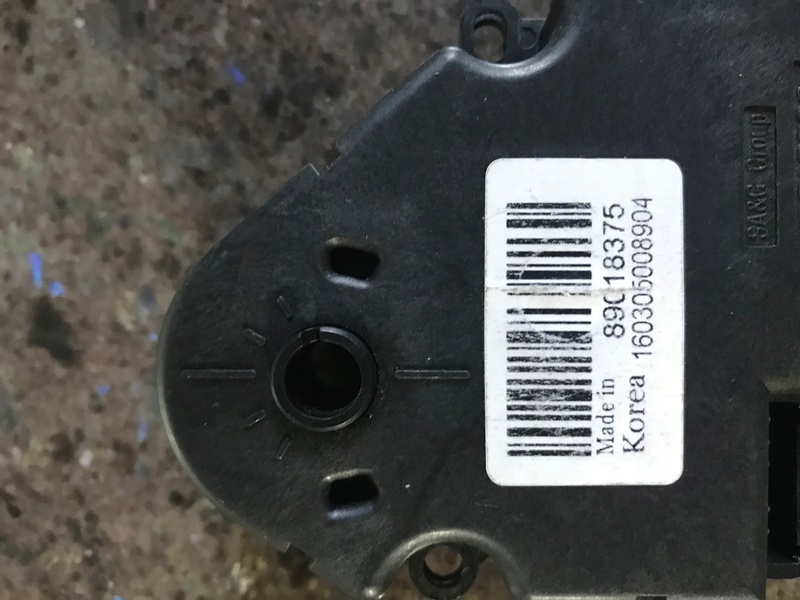 The actuator you pictured has a broken gear around the large black plastic hub. It will *probably* work once assembled as-is but only until the gear breaks someplace else, which it will pretty soon. 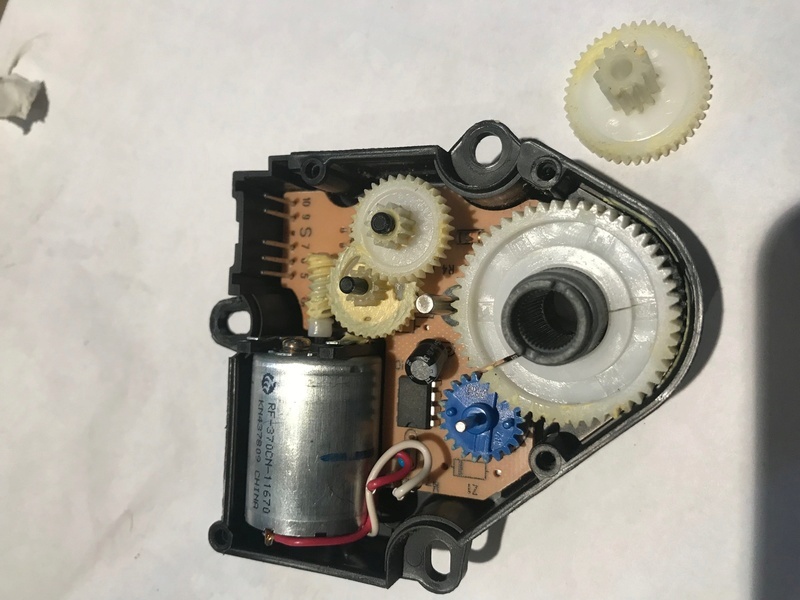 I had an actuator I "repaired" but did not have an extra large gear like that so I put it back together with a gear that looked pretty much like what you have pictured. It worked for a while, I am thinking 5 months, but I had to repair it again because it finally failed, the big gear split and came off the hub. OK, so here's the cool thing -- GM's got great engineering but not so much variation when it comes to hard parts like this. If you get any of their similar HVAC actuators and open them you will find similar gears inside. The other thing you can do is get *just about any* of the older (mid 80's-mid '90s) GM actuators, the older ones had metal gears and those metal gears never really did break. You can swap many of the metal gears into your actuators with good motors/bad gears and wha-la, you have ready-to-use repaired actuators. It will take some guesswork to find the cars that have actuators with metal gears. Thinking about it, I wonder if I pulled actuators off cars older than what's listed on the Hollander. I don't recall. Also it occurs to me that someone with the right skills and equipment could *3D print* those gears. You're welcome. I found working on the HVAC to be a bit much and don't mind sharing what I learned. Sitting on my head under the dash was fun for my spouse to watch and not fun at all to do. And those controllers... once you take a good look inside, they are not tough to fix. ...again, I've had good luck with junkyard pulls. I suspect the ones with plastic gears had already been replaced in the donor cars, and so were not that old. This is the vent part that someone had removed! Anybody know how to remove that piece he is refering too? My console is still in the car, and I don't want to take it out if I don't have to. 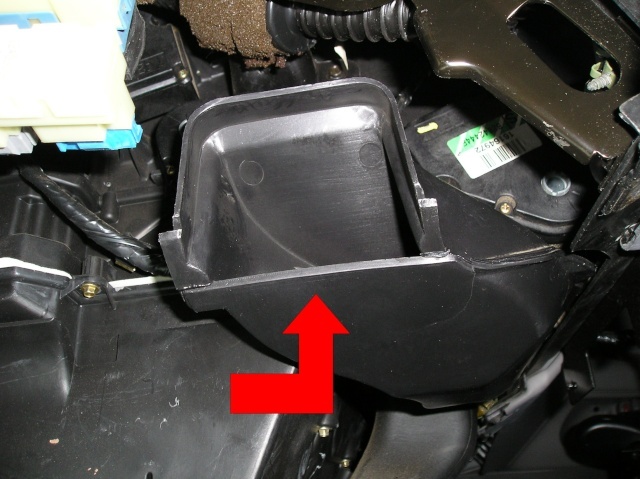 How do you get this duct out?